Worldwide, about 2 million tons of cherries are produced. They are mainly grown in temperate and subtropical zones, particularly in Iran, Turkey, United States, Spain, Germany, and Russia. But also France, Romania and Ukraine are large cherry producing countries. 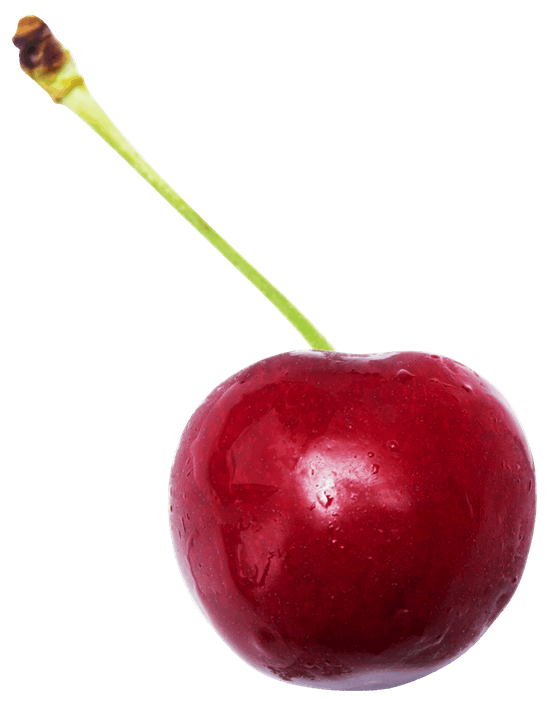 There are two types of cherries: sweet cherry (Prunus avium L.) and sour cherry (Prunus cerasus). Only the sweet cherry is described here (the sour cherry is (commercially) not storable). Known commercial varieties are Bing, Burlat, Celeste, Kordia, Karina, Lapins, Regina, Santina, Stella, Sweetheart and Van. The right time to harvest is critical to what is possible with the cherries after harvest. The color of the peel and refraction values determine the ideal harvest time. Damaged cherries have a limited storage capability. Moisture loss is a major limiting factor for the preservation of cherries. The consequence of excessive moisture loss is dehydration and brown discoloration of the stem. In order to prevent that, cherries should be placed in the shade immediately, already in the orchard. Optionally, precooling should be applied to get the right storage temperature within 4 hours after harvesting. The period to keep cherries fresh, is limited. They can be stored around the freezing point, at the highest possible relative humidity. Controlled Atmosphere has positive effects on the storability of cherries; lowering the oxygen content to a level of 3 to 10% increases the retention of firmness. Too low oxygen concentrations (<1%) may lead to taste defects and pitting. Cherries respond positively to an increased carbon dioxide content; less rotting occurs and the fruit keeps a fresher, better appearance. Cherries will become sensitive to brown discoloration and taste reduction at concentrations of more than 30% CO2. Cherries produce just a little ethylene, and they are not sensitive to it either (ripening is not accelerated by ethylene). Cherries are often stored in plastic hoses, in which the air composition is controlled with a CA system (Palliflex). Up to 400 pallets can be controlled separately with a single control system; ait compostion per pallet can be managed, which offers great advantages for the storage of all types of soft fruit. CA storage is also applied during transportation of cherries, particularly in long-distance. Questions about our solutions for cherry storage? Free advice on which solutions are suitable for your situation? Download our cherry storage brochure or contact us for a free consultation!